Food trucks, fun and food, oh yes! We caught up with the Apollo THON org and how they're raising money. Yes, your mouth will water. And yes, it's 100% worth it! Enjoy! 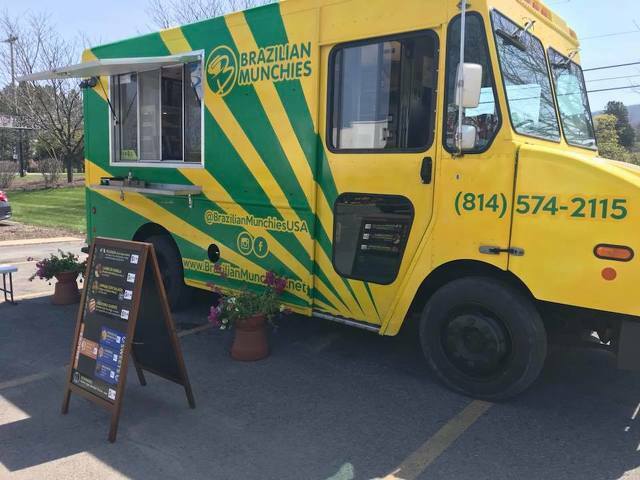 Penn State student special-interest organization Apollo hosts its second-annual State College Food Truck Fiesta from 4 to 8 p.m. on Friday in the parking lot of Grace Lutheran Church, 205 S. Garner St., in downtown State College. For the second consecutive year, an assortment of food trucks will bless the parking lots of the Dorito Church for one of the first big THON fundraisers of the year.The event is hosted by Apollo, a special interest THON organization, and more than 2,000 people attended last year. Top-ranked special interest orgs reflect on THON total | What comes next for them? ​Joe Warner (senior, biomedical, dancing for Apollo) slides on baby powder during Thon at the Bryce Jordan Center on Sunday, Feb 18, 2018. Apollo’s President Sam Boland said this is the sixth consecutive year as a top-five ranked organization. And with $81,923.24 raised this year, it’s a tradition he is proud to continue. Katie Hockenberry (sophomore-supply chain) walked around the THON floor with a sign advertising piggy back rides and massages from the organization Apollo on Feb. 18, 2018. Sarah Menna is a member of the organization Apollo, whose members walked around the floor with a sign offering roller massages and piggyback rides to dancers. Menna (junior-kinesiology) said that the goal of the org was to provide random acts of kindness to the dancers during their 46-hour stint. 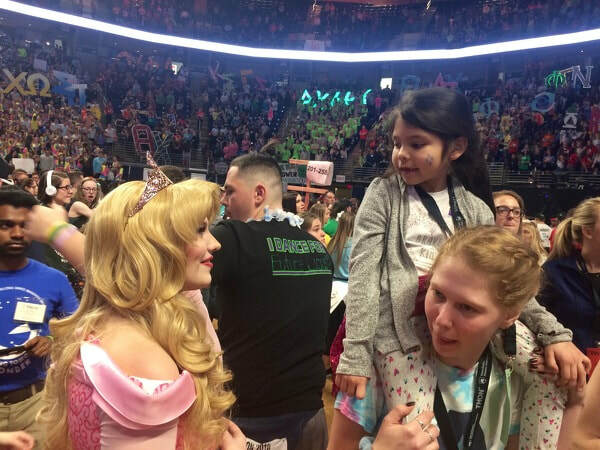 ​As THON 2018 continued on into Saturday afternoon, U.S. Sen. Bob Casey walked the floor of the Bryce Jordan Center talking with Four Diamonds families battling pediatric cancer and the Penn State students supporting them.